This table features a non-slate playing surface for smooth playing. 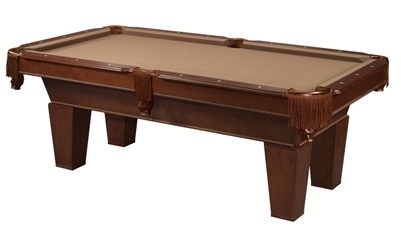 The table's mahogany top rails and leather drop pockets are built for maximum durability, and also endow the table with a classic, pleasant look. The table also comes complete with leg levelers, assuring that the playing surface is level at all times.